"We Don't Live In A Black & White World . . . Neither Did They"
Welcome to the American Photo Colorizing.com photo blog. 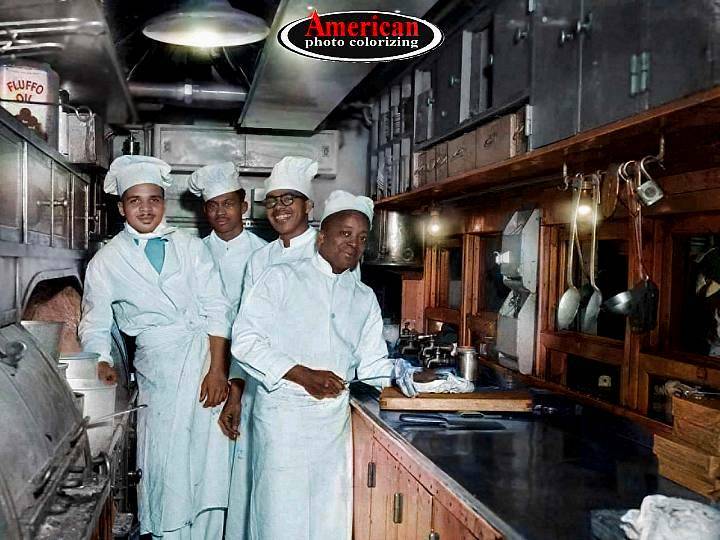 We colorize black & white photos for museums, TV production, print media . . . and families like yours. The year is 1949 – and someone’s in the kitchen with Dinah!This photo was taken by noted African-American photographer, Addison Scurlock, of Washington, DC. 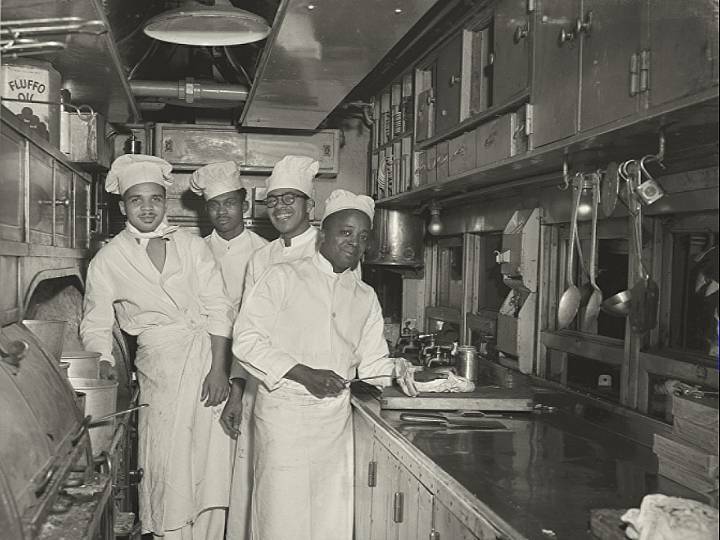 These gentlemen are the dining car cooks aboard a passenger train – most likely in the Washington area. In the 1940s, train travel was a magical experience, and gleaming rails criss-crossed the United States from Atlantic to Pacific and from the Gulf of Mexico to the Great Lakes. They’re all but gone now, but we have vintage films and photos to show us what real train travel was like. And then, there are those wonderful train tunes: “I’ve Been Workin’ On The Railroad”, “Mystery Train”,”Wabash Cannonball, “Chattanooga Choo-Choo”, “Ballad Of Casey Jones”, Atchison, Topeka & Santa Fe”, “Choo Choo Ch’Boogie”, “Take The ‘A’ Train”, “King Of The Road” . . . So much history there. AMERICAN COLORIZING BLOG IS BACK!